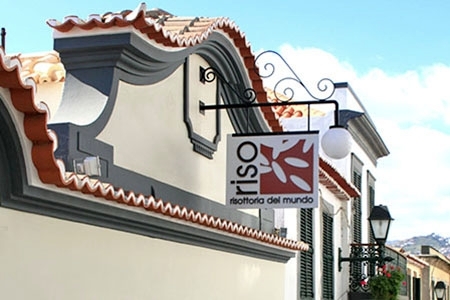 If you visit Madeira’s capital, Funchal, don’t leave without experiencing the delights of dining at Riso, an exquisite restaurant overlooking the Atlantic Ocean where rice dishes from around the world are served – even for dessert! 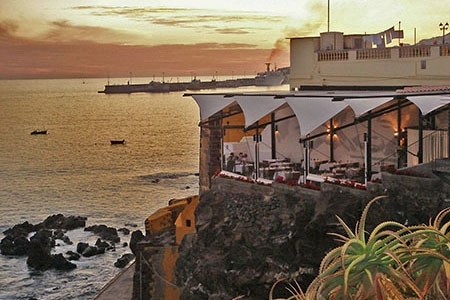 Eating at Riso Restaurant, with its cliff-top terrace and indoor seating for those very rare cool Madeiran days, is memorable for many reasons. First, the location is unbeatable: at the end of the narrow Rua de Santa Maria, on the edge of Funchal’s old town, the experience of eating fine food is complemented by the sound and sight of the sea. Plus, excellent service by attentive staff is what you’ll receive and, of course, gorgeous food. I’m vegetarian and eating out at restaurants whilst abroad can still be tricky. So, it was a pleasure to find such a range of dishes to choose from; but that doesn’t mean carnivores will struggle, either, because there are dishes to suit them, too. On a recent visit, I started off with pumpkin gazpacho with rocket oil and puffed rice followed by leeks and provolone cheese au gratin risotto with arborio and venere rice. Then, for dessert I picked black Thai rice with coconut milk and fresh mango. The three-course meal came to 23 euros. It was delicious. Founded in 2006, Riso – which classes itself as “the house dedicated to rice” – is the first of, hopefully, many outlets around the world. 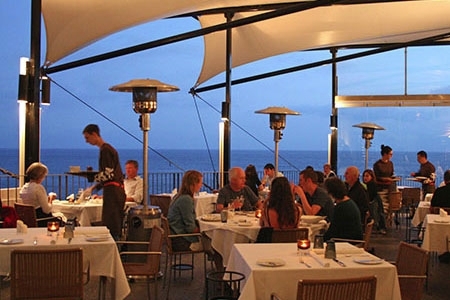 The brainchild of masterchef Fausto Airoldi, it works a treat in this contemporary, tastefully-designed restaurant in Madeira.